I'm conscientious, responsible, results-driven, articulate software engineer with almost one year of experience in Android developing. Primarily focusing on development client-server applications and Android API. Strong in developing applications for different Android devices. Interested in a challenging technical track career in an application development environment. Strong in design and integration problem-solving skills. Skilled in building, integration, testing and supporting Android applications on the Android platform. Creating a client-server application from scratch to the full release. Creating an application from scratch and support it until the full release. 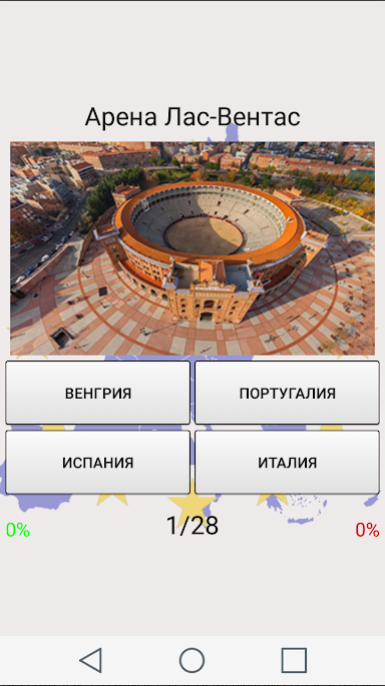 A mobile application designed to test a person's inquisitiveness by asking interesting questions on a variety of topics. A mobile application designed to gain new knowledge and validate it. 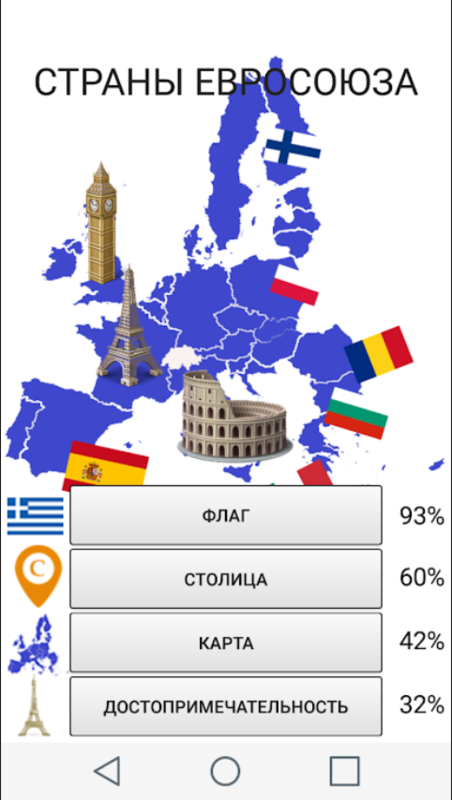 The EU Countries app will allow you to explore all the flags, capitals, location on the map and attractions of all 28 countries that are members of the European Union.